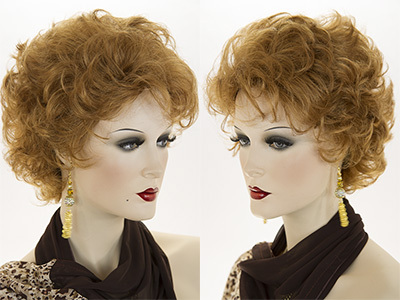 Nano Toupee 7" X 9.5 "
Wig Pro Nano skin toupee. Human hair on a skin top. Style it any way that you like. The hair length is 5.5 to 6 inches in length. Superfine nano skin, 0.06 mm to 0.08 mm. Air holes are 2mm. The base size is 7 by 9.5 inches. See item details for available colors. 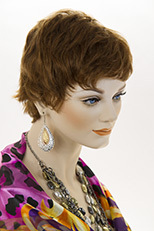 This piecey bob with a sideswept fringe is loaded with layers. A SmartLace front and monotop mimic natural hair growth for extra styling options. 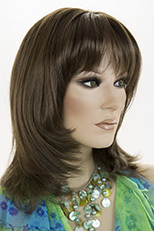 Completely natural looking, premium lace Front, short, straight, modern, layered style wig by Wig Pro. Light weight and natural looking! Size: Average (21 3/4") Length: 12" Weight: 2.5 oz Description: Classic, short piece that allows mutli-directional versatility, variety and natural looking style. See item details for available colors. Please allow one week delivery for special order colors. Glamour reminiscent of the past! New exclusive colors! 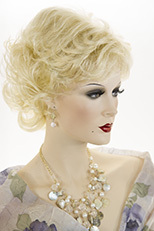 This short, wavy, layered Marilyn Monroe style wig, features a natural looking skin top, bangs and soft waves, which taper at the nape. Rich shades of blonde, red, brunette and grey. See item details for available colors. Gandalf inspired, long, straight, center part white hair with attaching long, straight beard and mustache. The hair 21 inches long and the beard is 20 inches. See item details for available colors. 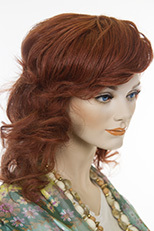 Jon Renau, wavy, straight or come-hither curled, this long layered, pre-permed Remy human hair wig epitomizes feminine style with the added security and versatility of a lace front. 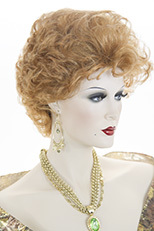 Glamorous mid length, long, wavy, wig with curls, which fall past the shoulder! The length is approximately 17 inches. Transform yourself in seconds! See item details for available colors. Featuring premium quality human hair and a natural looking skin top and no bangs, this lovely wavy wig is 22 inches in length. The skin top is approximately 4 by 4 1/2 inches in size. See item details for available colors.